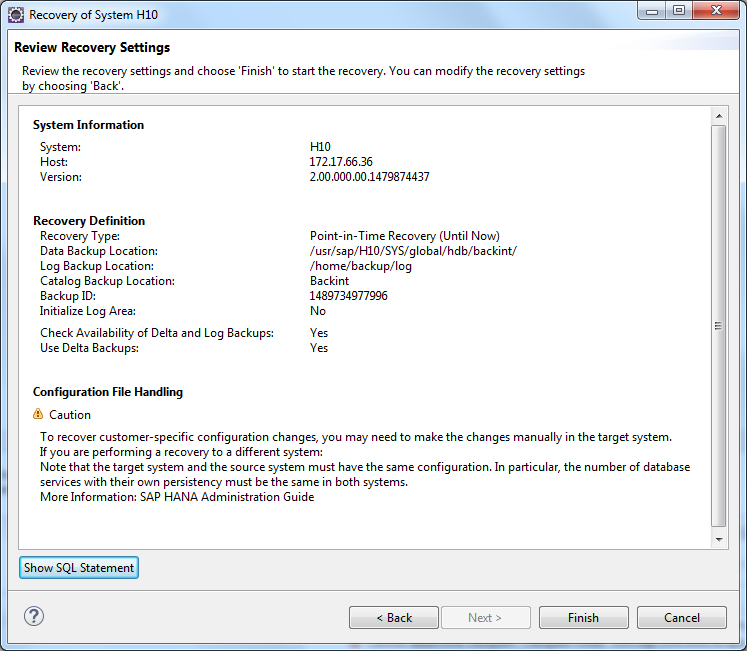 SAP HANA supports certified third party backup tools via the backint interface. Backups are transferred via pipe from the SAP HANA database to the 3rd party backup agent, which runs on the SAP HANA database server and then sends the backups to the 3rd party backup server. 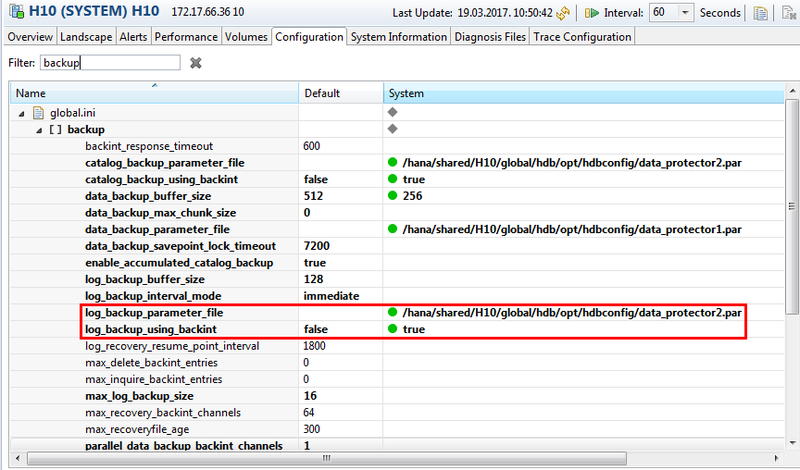 SAP reccomends two dedicated hdbbackint parameter files: one for data backups and one for log backups. Backups made using third-party tools always use the destination /usr/sap/<SID>/SYS/global/hdb/backint. 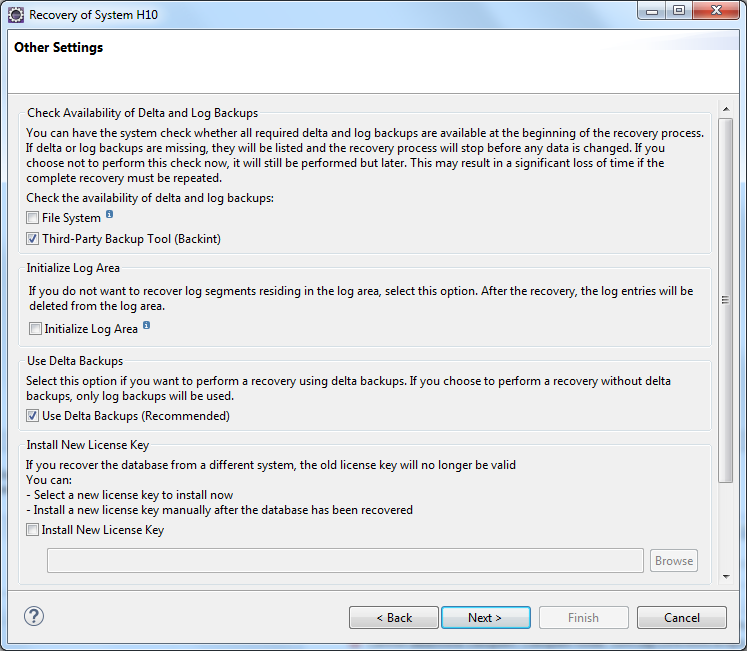 It is not possible to change the backup destination for third-party tools. For this destination, the only objects created in the file system are named pipes. Named pipes occupy no space in the file system. 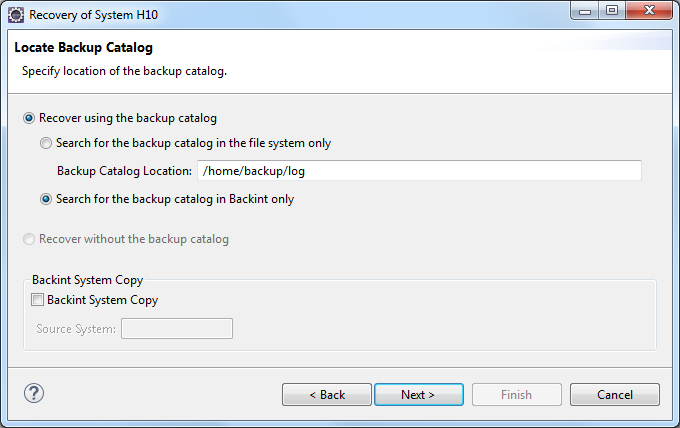 We can see on this and the following picture that log areas backup is configured as backint, together with data area and backup catalog. So, lets start a recovery process. And here is the logical incosistency that system configured for backint log backup destination shows file system as a backup location. 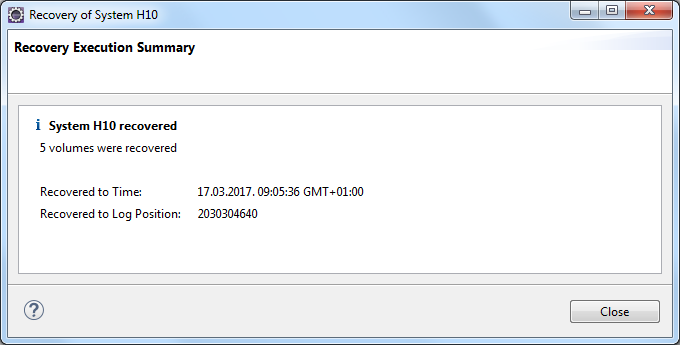 The recovery process ends successfully, so I suppose that system correctly read all necessary recovery parameters from backup catalog. Still, it is confusing looking at the wrong log backup location in generated SQL recovery statement.